Make a delicious bread pudding for a great family dessert, or bake one for a special occasion. Here are some of my favorites, including comforting traditional spiced bread pudding recipes, slow cooker bread puddings, and several using fruit. This wonderful biscuit pudding is an old-fashioned favorite made with vanilla, eggs, and milk. You might remember your grandmother making this pudding. This moist and delicious bread pudding is cooked in the Instant Pot pressure cooker, leaving the oven free for other dishes. It's also an excellent choice for warm weather when you don't want to use the oven. The bourbon sauce is the perfect topping, but feel free to use another sauce or syrup. This is a signature bread pudding from Kentucky's Beaumont Inn. The sweet bourbon sauce isn't overpowering, and the buttermilk gives it a nice tang. Nutmeg gives this comforting bread pudding egg custard flavor, or use cinnamon swirl bread and ground cinnamon for the cinnamon variation shown in the photo. This easy bread pudding is actually cooked in the slow cooker. The pudding is flavored with spices and vanilla. Top it off with a dessert sauce or whipped cream. This chocolate bread pudding is a chocolate lover's dream! It's made with cocoa, chocolate chips, and a decadent chocolate and cream topping. A moist and delicious bread pudding, and it's the perfect dessert for fall and winter dinners or parties. Raisins or chopped pecans can be used in place of the dried cranberries, or try another chopped dried fruit. Drizzle a dessert sauce over the pudding, or use a spiced syrup. This classic New Orleans bread pudding is served with a thick and rich whiskey sauce. It will make you feel like you're dining in the French Quarter. This tasty bread and butter pudding may seem simple, but the flavors are anything but. Dress this comforting dessert up with a homemade or purchased caramel sauce. 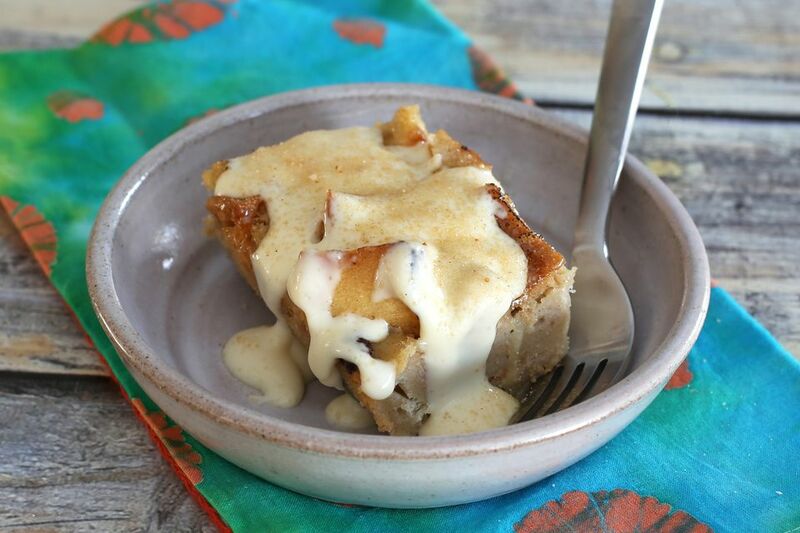 Serve this wonderful bread pudding with the included apple brandy sauce, or top it with your favorite dessert sauce. Crushed pineapple and pecans give this warm and inviting bread pudding texture and flavor. This is wonderful with a creamy vanilla sauce. Dates and pecans add flavor and texture to this delicious sweet potato bread pudding. 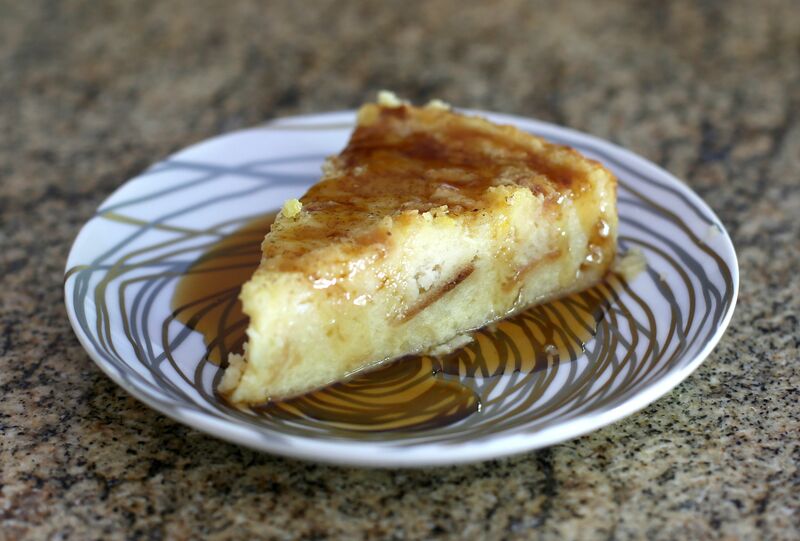 Serve this bread pudding with caramel sauce or brown sugar sauce. Canned peaches and juice go into this moist, delicious peach bread pudding. Feel free to change it up with apricots or pineapple. Serve this bread pudding with a caramel or butterscotch sauce. This excellent bread pudding is a great dessert choice for Thanksgiving or Christmas dinner, or any fall or winter meal. If possible, use a rich bread like a brioche or challah. Make this rich blueberry bread pudding with day-old bread or use a buttery brioche, croissants, or challah. Top it off with a dollop of whipped cream and your favorite dessert sauce. Or make this blueberry sauce to go with the pudding.